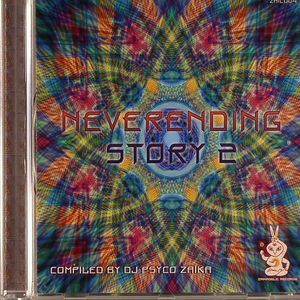 VARIOUS Neverending Story 2 vinyl at Juno Records. 2. Imaginary Sight & Atroiohm - "Imaginary Ohm"
3. Digitalist & Gidra - "Phenomenon"
4. Attoya - "The Weightlessness Sensation"
5. 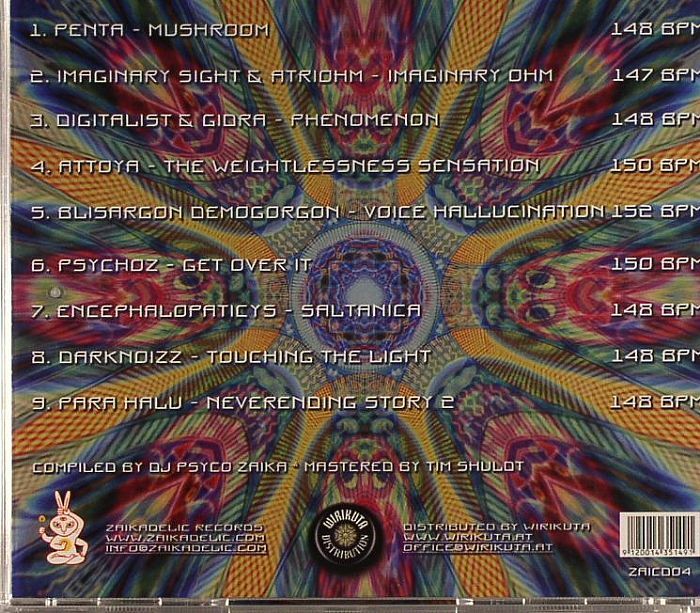 Blisargon Demogorgon - "Voice Hallucination"
6. Psychoz - "Get Over It"
8. Darknoizz - "Touching The Light"
9. 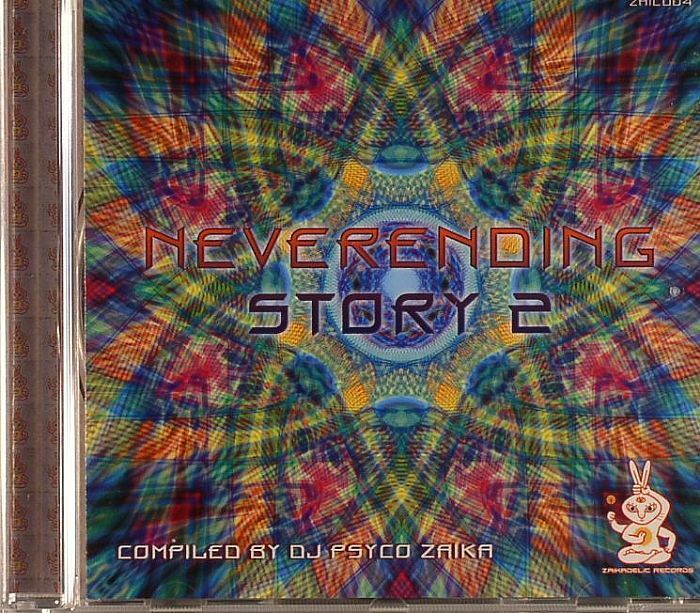 Para Halu - "Neverending Strory 2"
Zaikadelic Records joyfully presents the long awaited sequel to the "Neverending Story" compilation. This one is special - the goal was to create the ultimate dancing compilation. We have taken several carefully selected tunes from cutting edge psychedelic musicians, all the cream of the crop. Each track has a strong and intelligent narrative line, hypnotic and trippy vibrations, amazing production quality and an unbelievable dancing drive. Together they amount to a perfect set tested by DJ Psyco Zaika on a multitude of dancefloors all around the world. All the test results are positive: this is the most Zaikadelic release to date.